Family law is among the oldest recorded areas of jurisprudence for obvious reasons. You care about your loved ones above all else. You want the best for them, and you want the assurance that your rights under the law — and theirs — are protected. The principles of family law are rooted in common law and even the Wisdom of Solomon, but the practice of family law is an ever-changing field. Although you alone best know the goals and desires that lead to changes in your family relationships, you and your family will almost always benefit from the help of a trained Tulsa, Oklahoma family law attorney when your family matters are decided in a Tulsa court. Can I handle my own family law case? Family law cases by their very nature are profoundly personal, but state laws and local rules govern they way courts approach those relationships when conflicts or changes arise. The outcome of cases can have a significant and lasting impact, both personally and financially on you, your children and your extended family. Because of the deeply personal — and sometimes costly — nature of family law proceedings, people sometimes decide to represent themselves in family court. Especially when two parties agree on where they want to go with a divorce, separation, custody decision or parenting agreement, they must still file pleadings and paperwork in accordance with Oklahoma law and court rules. Even well-informed pro-se litigants usually turn to a drafting service for documents that can still cost hundreds of dollars and create a false sense of security. Here’s why. During the course of a divorce or parenting proceeding the requires orders from an Oklahoma family court, changes can arise. Disagreements may emerge between the parties over unforeseen questions. When changes arise, documents must be redrafted. Hundreds of dollars spent on cookie-cutter documents is wasted when new documents are required. Vague language and omissions can become time consuming headaches when all a person wants to do is get it over with and move on with building their family life. Effective legal representation and legal advice can save time and trouble in the long run. 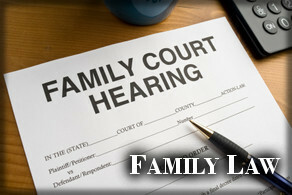 Why Choose A Local Family Law Attorney? Up-to-date expertise: Family law is different in each state, and constantly changes within each state’s jurisdiction. Almost every year, the legislature modifies family law statues, sometimes substantially. In 2009, for example, the legislature rewrote the Oklahoma Child Support Guidelines. Wirth Law Office founder James M. Wirth developed the first online child support calculator that reflected the 2009 changes. Local knowledge: Family court procedures vary from county to county. Tulsa County Family is one of nine Oklahoma counties that require all parents in family cases that involve minor children to attend a “Helping Children Cope with Divorce” seminar. Likewise, judges have considerable discretion in how they handle family law case. Judges’ disposition of cases can differ within Tulsa County and can be significantly different from the way judges in a nearby county might handle a case. That’s why it’s important to hire an attorney who knows the local court and is familiar with local judges. Balanced representation: A frequent complaint among parties involved in family law cases is that not only are they at odds with someone close to them, but the courts take a role in their lives at just the time they are trying to find their own direction for their family. At Wirth Law Office, our goal is to balance your values with the inexorable power of a court to determine your families future. If you would like a free consultation with an Oklahoma family law attorney, call the Wirth Law Office at (918) 879-1681 (or toll free at (888) Wirth-Law) or ask a question using the form at the top right of this page. Does a Joint Tax Return Make a Common Law Marriage in Oklahoma? Can a Mother Demand a Paternity Test of a Biological Father in Oklahoma Before a Child is Born? Can a Biological Father File a Petition to Establish Paternity in Oklahoma Before a Child is Born?